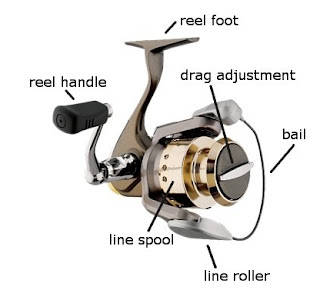 Spincast: This type of reel has a closed face. All the important parts are kept inside, under the nose cone. The line comes out of a little hole in the cover. You see a lot outfits designed for children sporting this type of reel, because it is the easiest to use. To use a spincast reel, you press the button on the back of the reel during your forward cast. The line peels out, and you let go of the button the line stops. Its very easy to get the hang of this reel, but you sacrifice some accuracy and distance. Baitcasting: This is the probably the most difficult to master, because the spool turns when you cast. The spool must be kept under control so as not to turn into a nasty nest of line. It works great with heavier lines and lures, and is considered very accurate. But, because it can take a while to master casting with this type of real, they tend to be used only by experienced anglers. 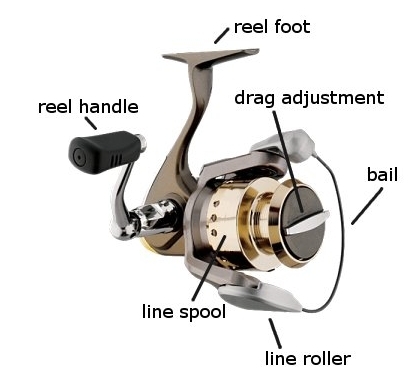 Spinning: This is the most popular reel, it has an open faced design, it is easier to use than a baitcasting reel and more accurate than a spincast. It’s versatile. It has great line capacity (can put a good amount of line on it) and you can usually buy one with an extra spool, making it easy to change out your line while your on the water. Though it doesn’t perform as well when heavier line (20 pounds +) is required. Drag: This is the mechanism that allows you to set how much resistance a fish feels when it pulls on the line. The tighter you set the drag, the more resistance the fish feels. You want to set the resistance tight enough that it tires out your fish, but not so tight that the line gets over stressed or breaks. 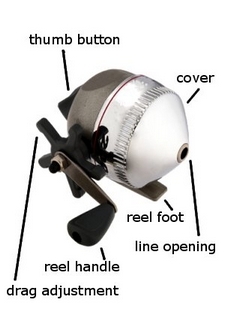 A reel is the mechanical device mounted to the handle end of the fishing rod onto which the line is wound. They come in three types (further defined below), with more speeds and ball bearings than most sane people know about, much less worry about. The most important point - when you turn the handle, it must feel "smooth." Price ranges from affordable to obscenely expensive. 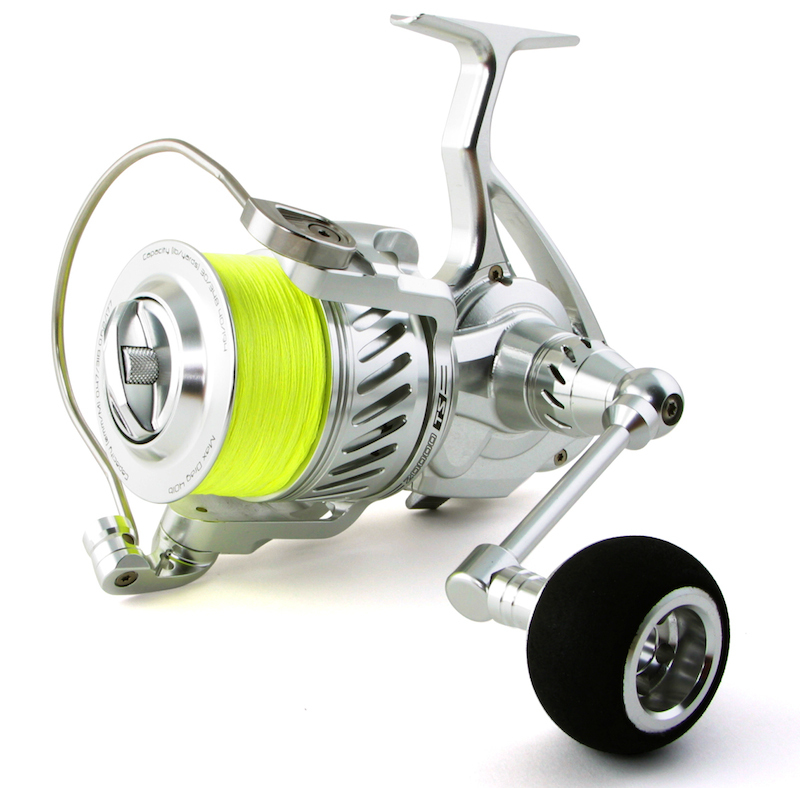 There's a wide variety of reels out there to choose from and there are quite a few manufacturers making them. They come in different sizes and shapes. Fishing wouldn't be very exciting if there weren't a wide variety of reels to fish with. You wouldn't want to reel in a Croaker with a 9/0 Penn big game reel, or try to catch a big "Smoker" Kingfish with a Zebco spin cast reel. This part of the reel holds the line. The spool is visible on the both the spinning and baitcast reels. On the spincast models, it's located under the cover. Spools vary in size and in the amount of line they can hold. As you look at each reel, you'll see a listing like, 12/160 or 8/250. This tells you how much of a certain pound test line the spool can hold. In the 2 examples, the spool can hold either 160 yards of 12 lb test or 250 yards of 8 lb test line. The bail has 2 settings, open or closed. It's the mechanism that either prevents or allows line coming off the spool. A closed bail- prevents the spool from letting line out. When casting your line, one of the things you do is open the bail. After the cast is completed, the bail is closed by turning the handle. Sometimes you'll hear the bail click after you've just turned the handle. This click is the bail closing and is normal. The handle is what's used to retrieve (more commonly called crank) the line back onto the spool. The object of drag is to allow the spool to slip before the line snaps. This slipping of the spool allows the fish more line and also prevents it from breaking. When fighting a fish, the rod does its job by absorbing the shock from the line. The rod and the drag work together to prevent the line from stretching and possibly breaking while fighting. Here's an example: Small fish in open water - you can tighten down the drag and just crank the fish in with little worry the line may break. With a big fish in open water, you may want to lighten the drag to let the fish run and tire out. Therefore, with every fish you hook, you should be aware of the drag "setting" and the environment you hook them in. * You'll want to look at the instructions for you're reel to determine how to operate the drag. Drag is something you'll need to understand and know how to use. Take some time and learn how to adjust the drag for your reel. Adjusting it will either make the fish fight harder or it will make it easier on him to pull line from the spool. We suggest playing with this setting so you'll get comfortable making the proper adjustment when the time comes. Keep in mind; it's something that may need to be changed several times a day depending on how the fish are fighting. Adding too much pressure could cause the lure to be ripped from the fish's mouth during the fight. Either way the fish is getting away from you. The fish will run taking your line around stumps, rocks etc. until it breaks. The fish could simply shake his head, and because of the slack on the line, the lure comes free. The line must stay tight at all times. Drag is something you'll learn to use over time, and unfortunately, the lessons can be heartbreaking knowing that one got away because it wasn't properly set. 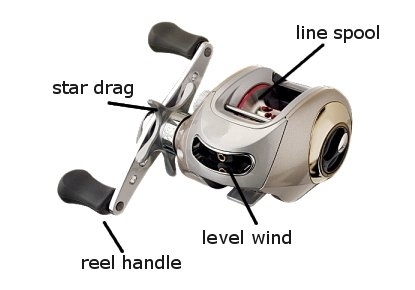 Without getting into too much detail, the number of ball bearings determines the smoothness of the reel. Simply put the more ball bearings the better. The ergonomics of the rod, including the comfort, how it feels in your hands, and balance. One of the biggest benefits of having the best fishing rod is having the right tools to target the fish you want. When many people begin fishing, they buy only low-priced rods assuming that there really isn’t a difference in quality. Little do they know, problems like snags and backlashes happen many times with bad rods. In addition, cheap rods can break more easily than the higher priced fishing rods, which is very frustrating when you are out on the water. Like the saying goes, you get what you pay for. Who is the fishing rod for? 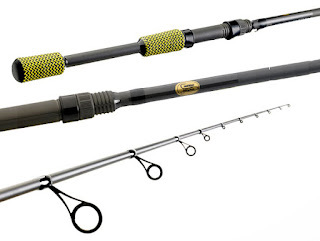 Not only will a quality rod save you a headache, it can help you catch fish. Yes, in fishing, the equipment plays a big part in your success. For example, the sensitivity of a rod is how easily you can sense a fishing biting your bait. With stiff rods, you cannot feel when a fish bites your bait. If you can’t feel the bite, then you cannot react accordingly. Many times, beginners will cast their line, and after 30 minutes of waiting, they will pull their line backonly to discover that they were duped by a fish! Don’t get fooled once you find those fish in the water!! There are four different things to consider before you pick the best fishing rod for your needs. 1. The type of fish you want to fish for. People generally fish in the lakes, oceans, or rivers that are closest to their home. It would be helpful to research your surrounding area to find what fish live in your waters. I recommend specializing in one species of fish first, and then expand as you get better and better. Learn everything there is to know about your target fish, such as their feeding habits. This will help you find and catch more fish. 2. The rod parts that best suit your needs. Understanding the different kinds of tackle (fishing tools) will help you decide what works best for you. Much of this depends on what kind of fishing you will do. For example, if you are targeting larger fish, you will want a baitcaster reel, which is made to cast larger bait. Do you want a long rod or a short rod? A long rod will allow you to cast longer distances, while a short rod will help you pull the game fish that love to fight. 3. The type of fishing you will partake in. Choosing a fishing rod depends on if you will fish from the beach (called surf fishing), from a boat, from a pier, on ice, etc.. In addition, fishing in a lake or river requires different tackle than fishing in the ocean. This is because the saltwater fishing tackle is made of specific materials designed to prevent corrosion. If you use a freshwater fishing rod to catch saltwater fish, your line, hooks, and even reel can be heavily damaged. For a beginner, it is recommended that you consider how much time you will invest in the sport. If you know that you will be fishing often, you should start with a rod that is a medium range cost and work your way toward a more advanced rod. Beginners should start with a medium action rod that is flexible, but not too flexible. If you are not sure if you will fish a lot, I would recommend buying a less expensive beginner rod (less than $30) to get acclimated to the sport. The benefit is that it will help you learn what you prefer in a rod, including the length, weight, and action.